In a recent email correspondence, Jim from Massachusetts was kind enough to share his memories of studying with George Lawrence Stone in the early 1960s. Jim's recollections provide a fascinating first hand account of what Stone was like as a man and as a teacher. By this time, George Lawrence Stone would have been in his mid 70s and in the twilight of his long and distinguished career as a teacher, author, and businessman. The family drum manufacturing operation, George B. Stone & Son, had long since been shuttered and his performing days were behind him. 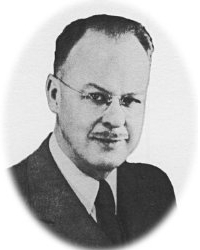 George Lawrence would have been best known in the 1960s as a sort of grandfather figure in the percussion world having been an accomplished drum corps instructor, a founding member of the National Association of Rudimental Drummers, and a regular columnist in a variety of widely circulated music publications including the International Musician. Today, he is of course remembered above all else as the author of the ever useful resource on drumming technique, Stick Control. The following is an edited together version of Jim's words. And below is an exercise written out by George Lawrence Stone in one of Jim's lessons entitled "Hand Velocity". I studied with him in 1961-62. He had just published Accents and Rebounds and was writing a manuscript containing "Personal Conditioners". His secretary would announce before each lesson "the doctor will see you now." He wore a three-piece tailored suit including a breast pocket handkerchief and a watch fob. His office/studio included a custom built practice desk built for two. There were permanent gum rubber practice pads built into the desk top with a pad on his side and a pad for the student on the other. The pads were elevated 30 degrees to accommodate the traditional grip. Mr. Stone always used hand-crafted rosewood sticks. Each lesson began with Mr. Stone setting a wind up alarm clock. My lessons were 30 minutes. Often times the metronome and the clock would be ticking at the same time. He loved chewing tobacco and would take a break mid-lesson relating stories of his life such as from his time playing xylophone with a vaudeville company. Mr. Stone's favorite/most often used expression to emphasize or clarify a direction was "Don't 'cha know?" Mr. Stone gave me undivided attention on every detail of my playing for the full lesson. He would often do "stop action" checks on my sticking positions by saying "freeze!" Most of the time my stick tips would be out of the two-inch circle he would allow you for error. He would assign three to four hours of homework. 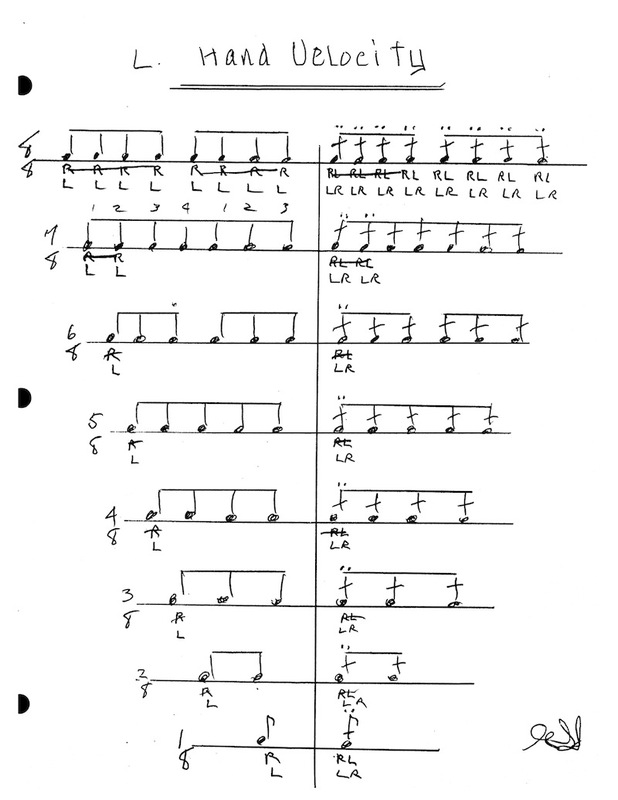 My assignments were to learn to "open and close" all 26 rudiments, and the usual "Stick Control" exercises. He recommended lengthy exercises averaging 15-30 minutes each. They were near torturous! He would say "Don't stop playing. If you need a rest, go out by the rim and play softly." His ideal student was the one that would and could improve, challenge, and enhance his teachings. Joe Morello is the most obvious example. Stone had his students agree to a three month trial after which he would let you go or keep you on. I kept on for a year. Joe Morello did three. Mr. Stone always used a straight edge to title his exercises and solos. I watched him do this several times. He took care with what he wrote and said. I recall "the Doctor" telling me he prepared the manuscript for Stick Control literally by hand. At one of my lessons he asked if I would mind stepping out of the studio and waiting twenty minutes while he met with a "musician from out of town" who dropped by to see him. It was Lionel Hampton in for a consultation.